Do you know why Summer is hotter than Winter? Most people are confident that they know the answer to this. Because the earth is closer to the sun in summer than it is in winter. Right? No, not right. This is one instance when most people are wrong. The earth is not closer to the sun in summer. The earth does not spin in a direct up and down axis, but is tilted at an angle of 23 degrees. Because of this tillt, for six months of the year the north pole is on the side tilted away from the sun, and for six months it is on the side tilted towards the sun. 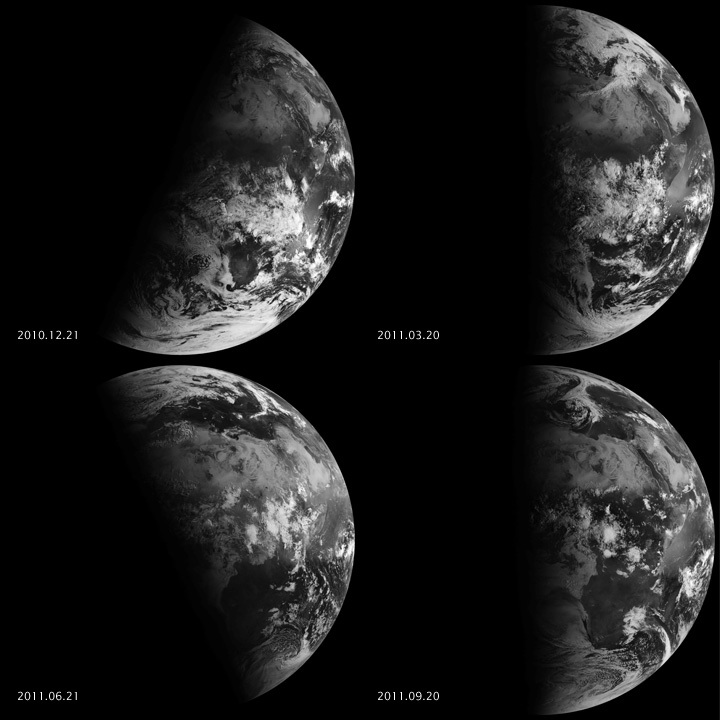 These cool photos from a NASA satellite show the amount of sunlight hitting different parts of the earth on different days. -the sun is higher in the sky, meaning more sunlight shines on the earth more directly. At 9am today, September 23, it is the vernal equinox. The sun will be directly above the equator, and it is the first real day of Spring. There will be 12 hours of daylight, and the same amount of night. The days will get longer until the longest day of this year, December 22nd. For this six months of the year – from today till March 19th – we in the Southern Hemisphere are on the side leaning towards the sun. Sometimes our ‘mental models’ of how things work are wrong. Jonathon Drori discusses these incorrect mental models in this TED talk.